Wading through a sea of paperwork is not why you entered the behavioral health field. Let Sano streamline your paperwork chores so you can complete assessments, set up treatment activities, document treatment in the patient’s chart quickly and completely, and let them sign electronically — giving you more time with your patients. Once it’s all in there, getting paid is faster, too. Sano has been designed to work like you do. See how it makes your day easier. Work through your schedule for the day and complete assessments and documentation as you go with easy-to-use tools. When you need custom forms, that’s easy, too. The Menon® Sano™ Electronic Health Record system supports the work processes of behavioral health counselors and other agency staff. It’s been designed with counselors in mind so that patient treatment can be documented accurately and consistently throughout the process. It automatically feeds through to billing and operations easily. Moreover, counselors appreciate the modern, easy-to-use pages, including customized forms, and the way it flows logically with the way they work. 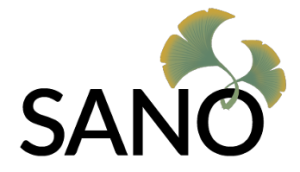 Learn more about how Sano helps front desk, billing and management staff as well.